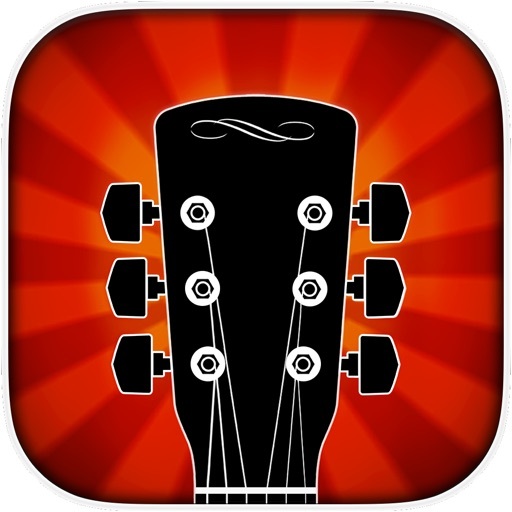 Ninebuzz software has a healthy collection of Guitar Jam Track apps available for various prices ranging from free to $4.99, with the latter amount representing their full universal version that contains the collection of all the separate apps in one. This alone is a nice approach since it gives you, the consumer, a number of options to choose from without being forced to pay for certain apps you don't want. All the apps are laid out the same and are basically a collection of backing tracks and chord/scale charts that accompany the backing tracks. Apps like this require a certain amount of discipline in order to be beneficial. There are no videos to follow along with and it's basically up to you as a player to do your due diligence and learn the scales for each of the backing tracks, but if you muscle through it can be a rewarding learning experience. 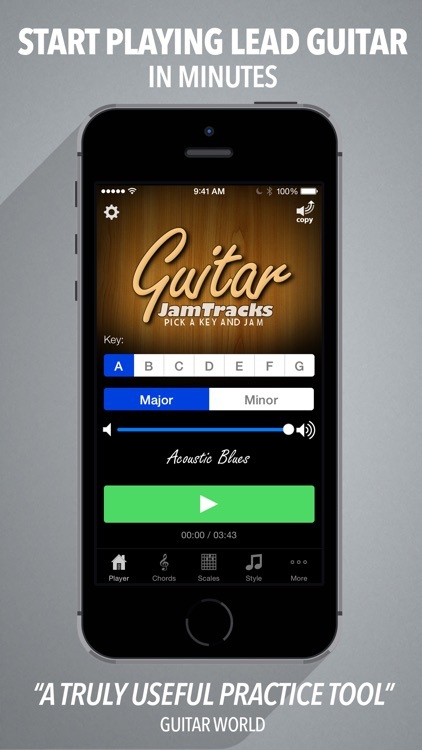 The Guitar Jam Track apps have a simple, barebones interface that won't steer you wrong. It's nice to have the option to switch between the note charts while the backing track continues to play. 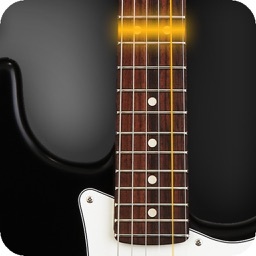 This allows you to dive right in without having to really having to commit the scales to memory, however, you must be sure to change your iDevice's settings to keep iPhone/iPad screen from going dark while you are jamming away, unless you want to reach away from your guitar to tap the screen. The backing tracks are nothing incredibly fancy, but they are not supposed to be. They serve a purpose of backing up you, the player, while you learn to shine. 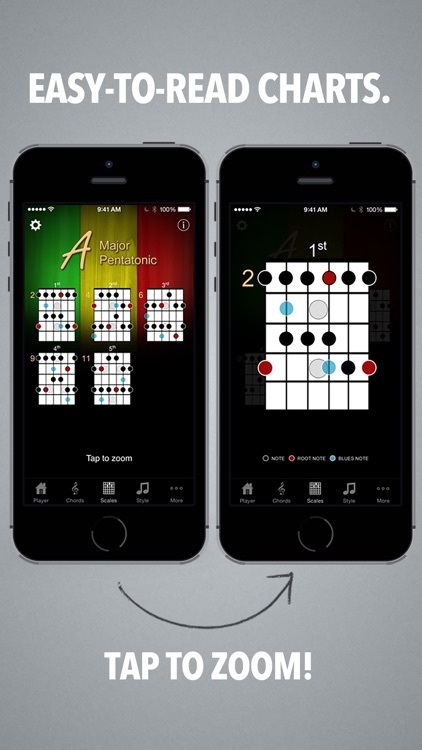 Each app features a backing track for each key (A-G) In minor and major as well as different progressions to allow the player to experiment with different styles and feels. It really is a great way to practice and learn to improvise. Hopefully the developer will address the blackout issue in a future update so you don't have to make adjustments in your Settings app each time you want to use this one. 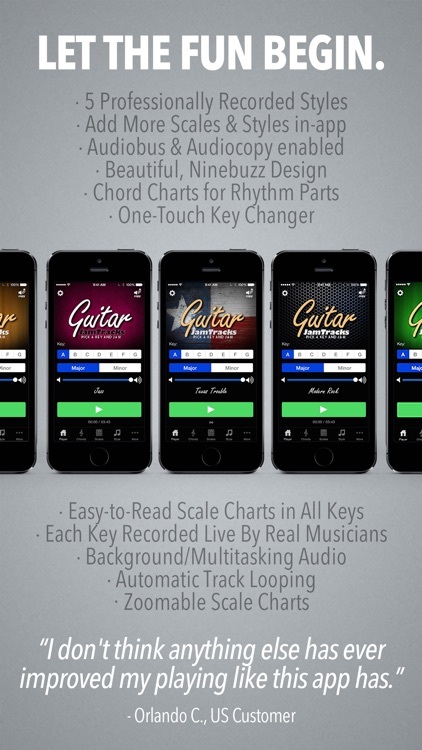 The #1 scales app for guitarists. Countless happy customers. Here are just a few 5-star reviews! Now on sale for $1.99 (reg. $4.99). I had reached the end of my self-taught rope. Thanks for making this app! It helped me move on and become better. I'm enjoying playing like I did when I started." I've never been more satisfied with an instructional app. It's simple, approachable interface makes interacting to learn more simple and fun." 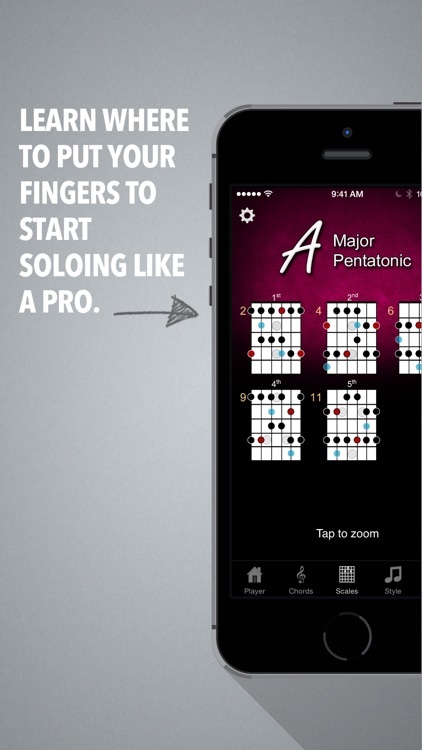 This app is the key for beginner and intermediate guitarists to become accustomed to scales and being able to use them with chords. This app completely opens up the ability of what is possible on guitar especially when a band is not available to do this with. 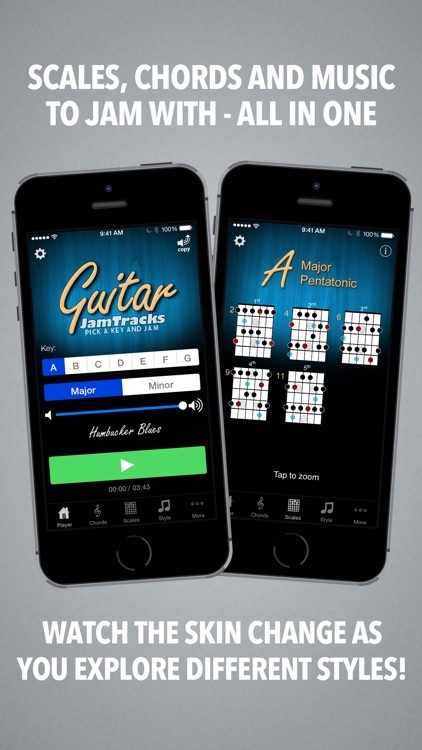 this app is great for practice to become greater with jamming and also warming up before gigs. 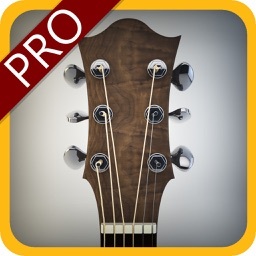 I highly recommend this app to all guitarists who want to excel and become greater -thank you so much for this app"
I have played for years and this is the #1 best tool I have run into yet. Keep It up my fellow string benders"
Backing tracks! Learn to use them and you progress faster than you ever imagined, scales, zoom feature, key change, it's ALL here !!!" 60% off sale! Regularly $9.99. Download today and start the fun! 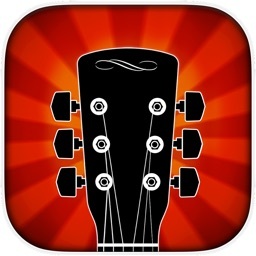 Practice jamming, learning guitar scales and soloing to 5 great sounding jam tracks right from your iPhone/iPad! Add more styles and scales with our in-app store. Our easy-to-read scale charts show you exactly where to put your fingers to start sounding like a pro. 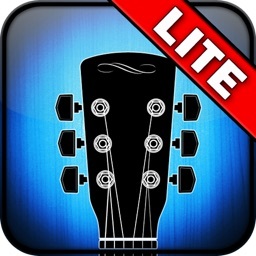 See for yourself why thousands of guitarists love this app! 1. Pick a key to start playing the track. CHANGE THE STYLE AT ANY TIME! Learn the chord progression for each track, and then jump over to practicing scales. Guess what? There are only 5 'shapes' of a scale to memorize! Once you know them up and down, learn where they start for each key. Soon, you'll be able to solo like a pro. - Black dots are regular notes. - Red dots are 'root notes'. These are notes of the key you are in. - Blue dots are 'passing notes'. Including these notes puts you in a Blues mode. You will get hours and hours of use out of this little app. 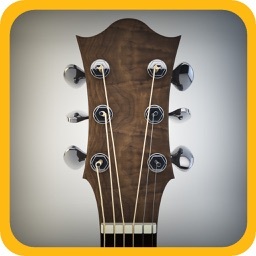 Practicing guitar shouldn't be boring - download this app today and make practice fun! 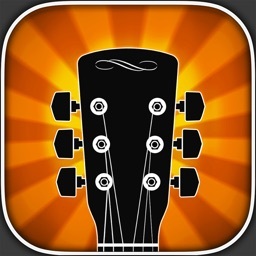 We created the simplest, fastest and most enjoyable way to practice guitar on a mobile device. Just tap a key and hit play! Practicing your scales is the best way to get comfortable with the fretboard. Once your learn the 5 different shapes of the pentatonic scale in every key, you'll be able to play along and solo to nearly any song! 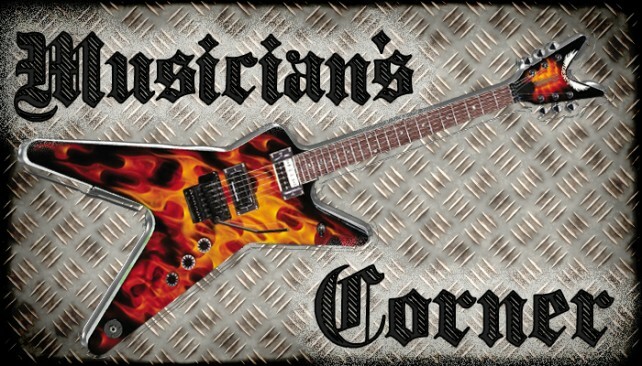 For this episode of Musician’s Corner we get our shred on with a guitar-training app.